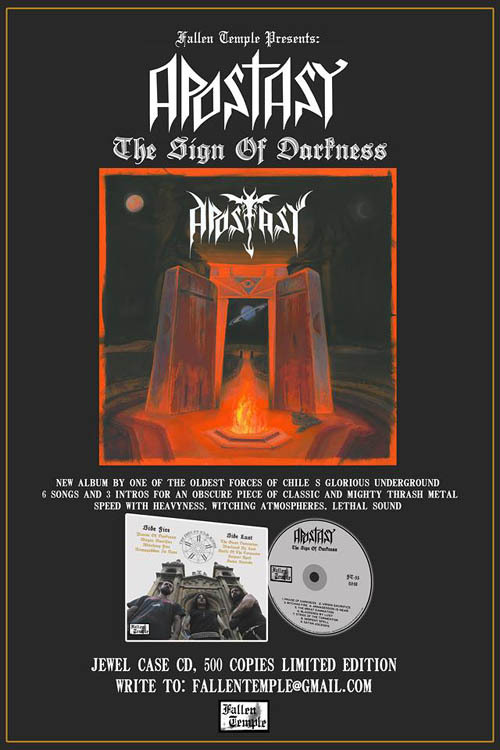 Chilean speed metal trio Apostasy has released their new album The Sign of Darkness via Fallen Temple. 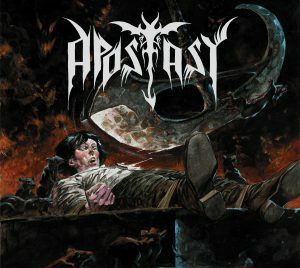 After releasing two demos in the late eighties and early nineties, followed by a compilation in 2013, Apostasy started releasing demos in 2014. The new demos contain old and new material, with the album presenting the band’s fully developed voice. 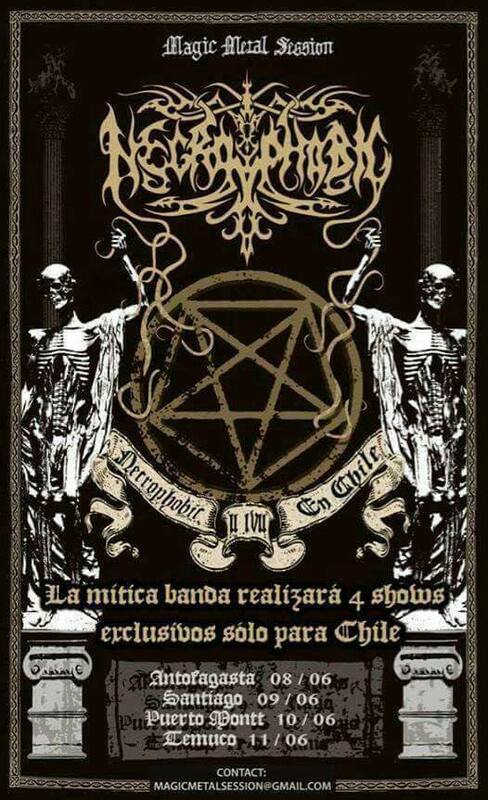 Swedish black metal band Necrophobic is planning a short four show tour of Chile this June. 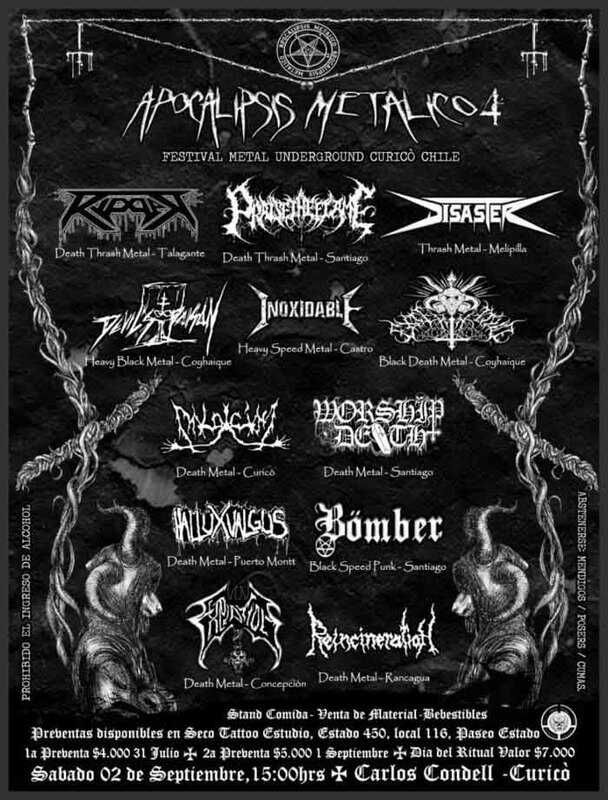 Chilean fans should check them out especially as their best vocalist, Anders Strokirk off of The Nocturnal Silence, has rejoined the band. Hopefully they will play their best, early material. 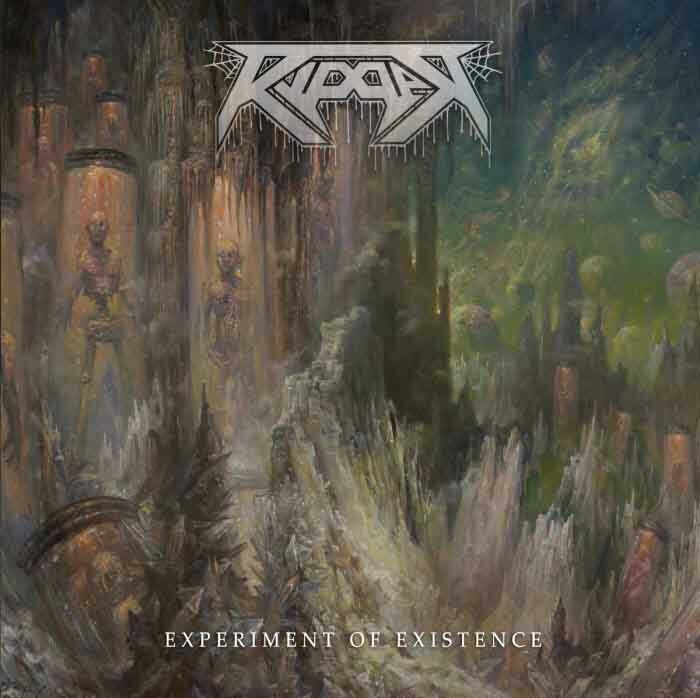 Ripper‘s Experiment of Existence has been repressed on CD after the first pressing sold out. 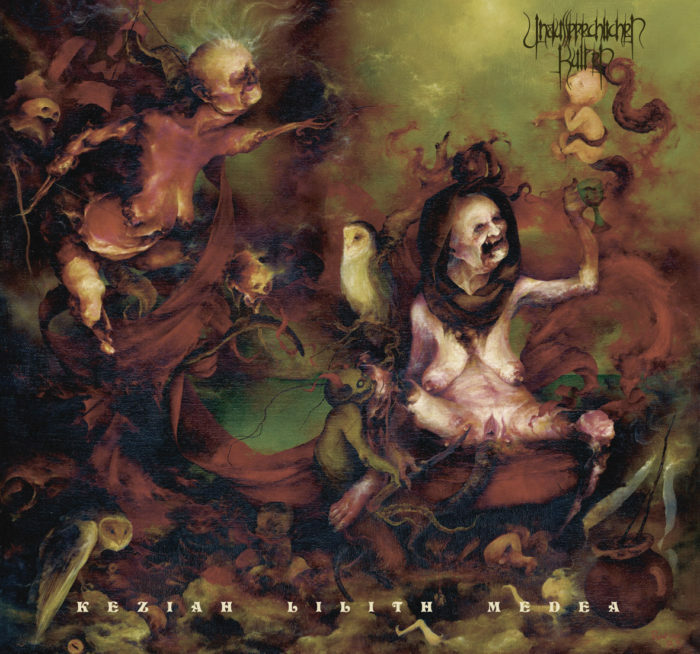 The repress of the some of the best Merciless worship may be purchased from Unspeakable Axe Records. Imagine you’ve returned to those magic years between 1985 and 1987. Thrash exploded, followed by speed metal and then the nascent proto-death/black bands are emerging. Almost everything is tinged with Metallica since they are looking like the first band of this ilk to make it out of the underground and into mainstream record stores. Pentagram (CL) comes to us from those formative years but with two different versions of that time. The first is the second disc in the set, which re-records seven classic tracks using modern production and instrumental know-how. The second is the “first” disc in this set, which is thirteen new songs. While both derive from the fertile era of the middle 1980s, they each take different approaches, with the first disc actually showing more of what this band can do. 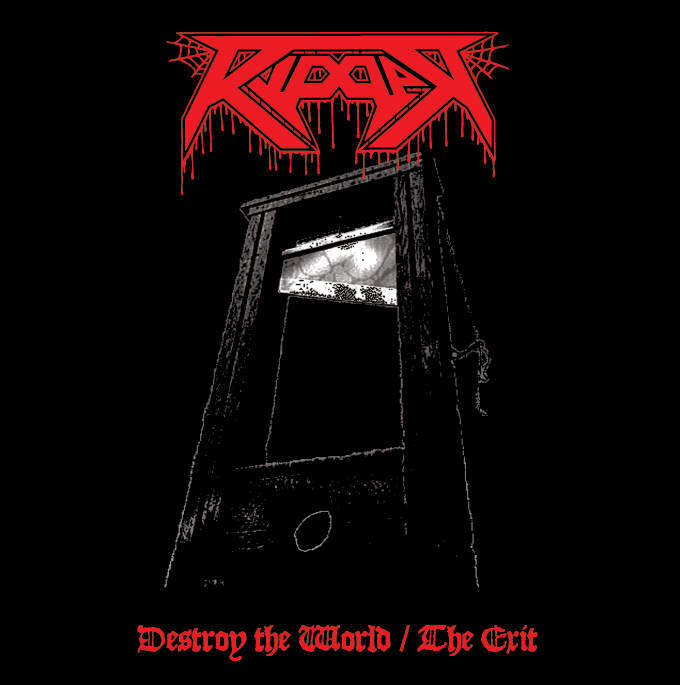 At their core these songs have not yet transitioned from speed metal to death metal. These are fundamentally based on the rhythmic riff, not the phrasal riff, and are oriented toward using choppy sounds not booming or columnar ones. However, this enables Pentagram (CL) to layer lead guitars over rhythm guitars, vocals over drums, and then to suspend them selectively, creating what is effectively a technique of adding textural depth to regulate intensity. What that requires is a fairly constant rhythm, thus both verse and chorus riffs and their various transitional riffs use very similar patterns. This pattern applies to both discs. The second disc may be the more anticipated in the underground as these songs never made it out of the demo stages back in the 1980s when they were written. While we like to be production-agnostic as underground metalheads, because the nature of being “underground” is that you cadge production and promotion where you can, not where is optimal, it is often hard to hear what’s going on. These re-produced songs show a gentle hand in keeping their nature intact while playing them as they were always meant to be played, which is with some technical flair amidst the straightforward riffs and aggressive vocals. It is great to hear these songs ride again and to hear them in the context with demos from Possessed, Sepultura, Kreator, Destruction and Rigor Mortis who were at roughly the same time exploring a similar sound. However, ultimately this reviewer found more to listen to in the first disc. It reminds me of the moments after a party where, the excitement having faded, analysis kicks in — and it’s from that, and not the frenzy of the moment, that emotion really comes. This is a retrospective of the 1980s not in terms of its surface traits but an attempt to get to its root, which is the massive sense of being in transition. These songs deliberately hover on the edge of death metal, and also on the edge of returning to the days of Venom and Motorhead, but also gesture at something else. A sense of suspended belief, the potential for anything to emerge from any moment, and an instability that calls forth primal conflict suffuses these songs. They use styling that may be from the farther side of that 1985-1987 window and apply it in a way that is not “modern” in the sense of metal now, but more fully mature, like the death metal to follow while retaining their speed metal core. Hearing these two discs together is not the ridiculous time machine sensation of Hollywood movies but more like a re-visitation of the events that made the time so much of what it was. The first disc, showing newer songwriting, has a steadier hand. It would benefit from the tighter assembly which threw out anything too repetitive or tangential shown by the second disc, which has songs stripped down for bear as if played by a rogue guerrilla group wandering in the mountains, pursued by a vastly better equipped army. 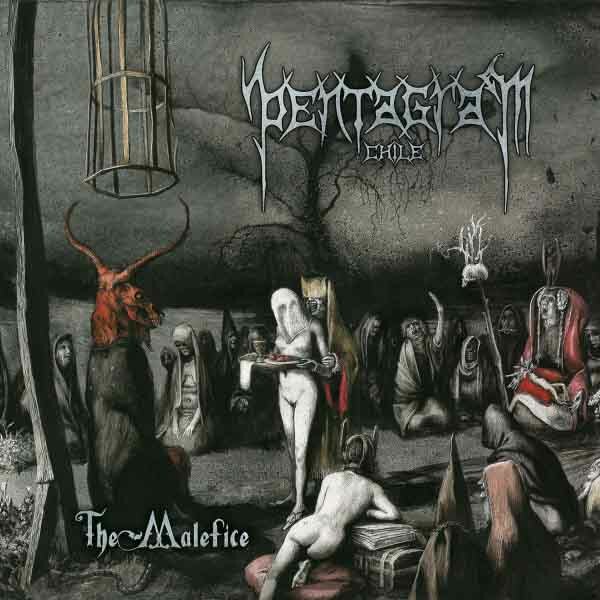 While these songs use the distorted vocals of underground metal, it is more accurate to see this band in the context of the generation before, when nothing had quite taken form and the bands wanted to make a statement underscoring the wisdom of that principle.